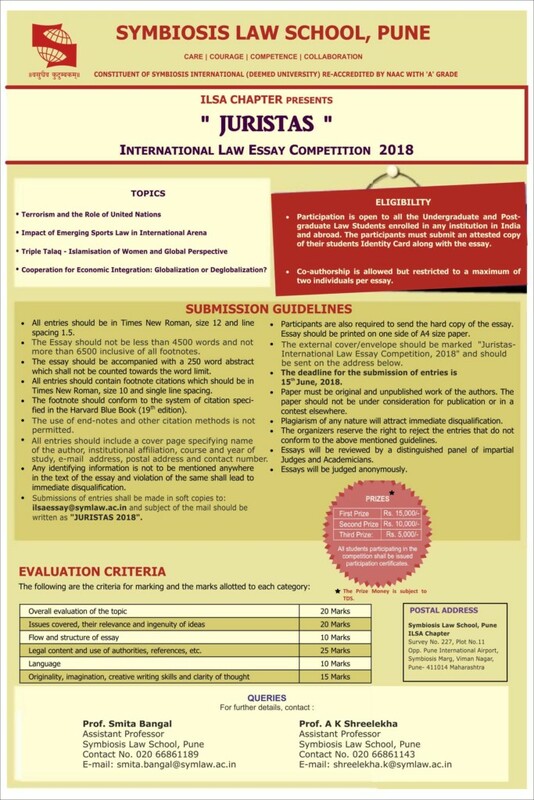 Symbiosis Law School, Pune, in association with International Law Students Association (ILSA) Chapter is organizing the Juristas-International Law Essay Competition 2018. 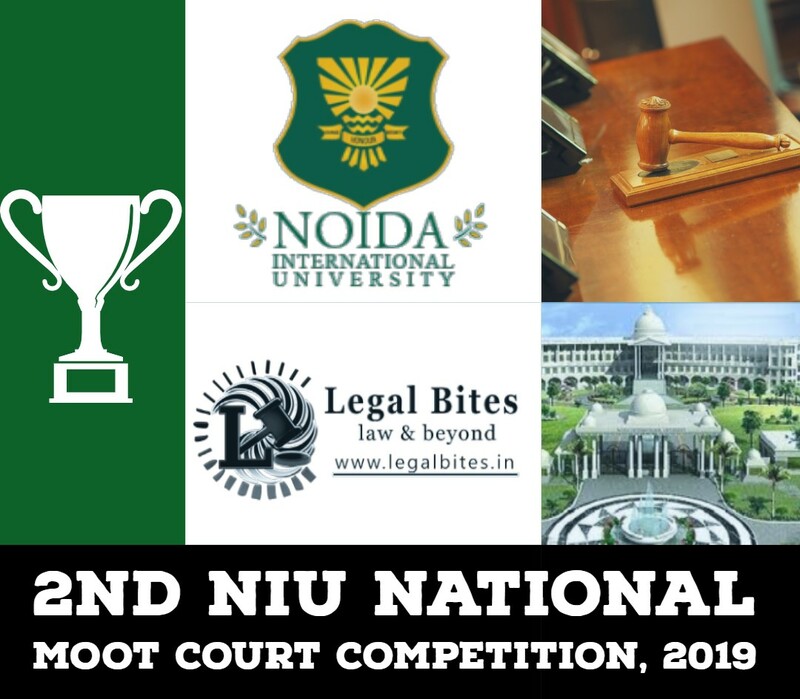 This competition aims to promote research and knowledge creation in the field of international law. 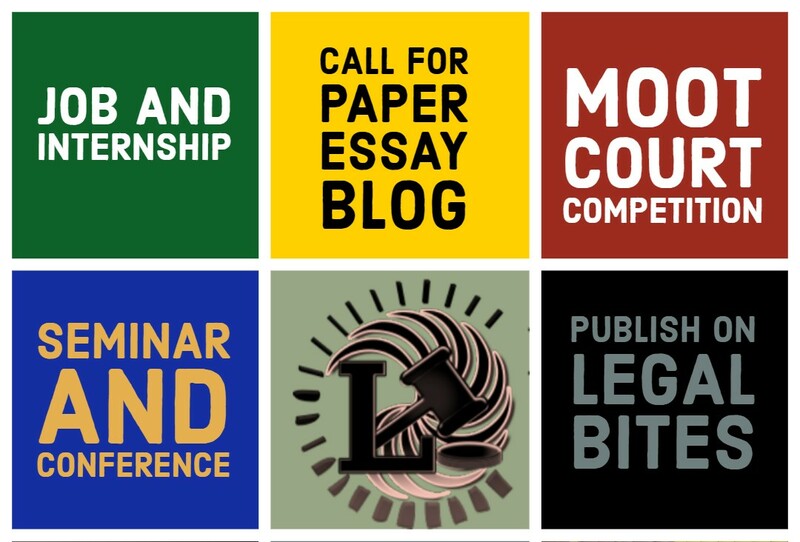 The deadline for the submission of entries is 15th June 2018.